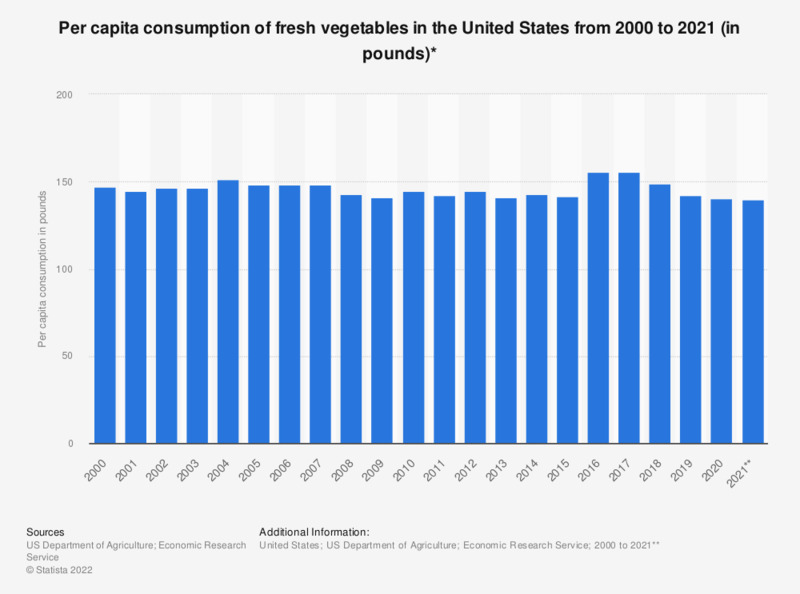 The timeline shows the per capita consumption of fresh vegetables in the United States from 2000 to 2016. According to the report, the U.S. per capita consumption of fresh vegetables amounted to 188.1 pounds in 2016. Computed from unrounded data. Calculated by ERS/USDA based on data from various sources.